New mystery novel out NOW! 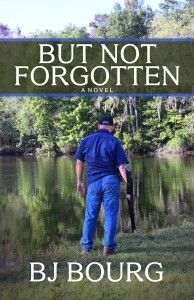 My third novel, BUT NOT FORGOTTEN, has just been released in e-book format through Amber Quill Press. It’s on sale right out the gate and only costs $4.55. It’ll be available in print and on Amazon in mid-December, but it’s only available through the publisher at the moment. 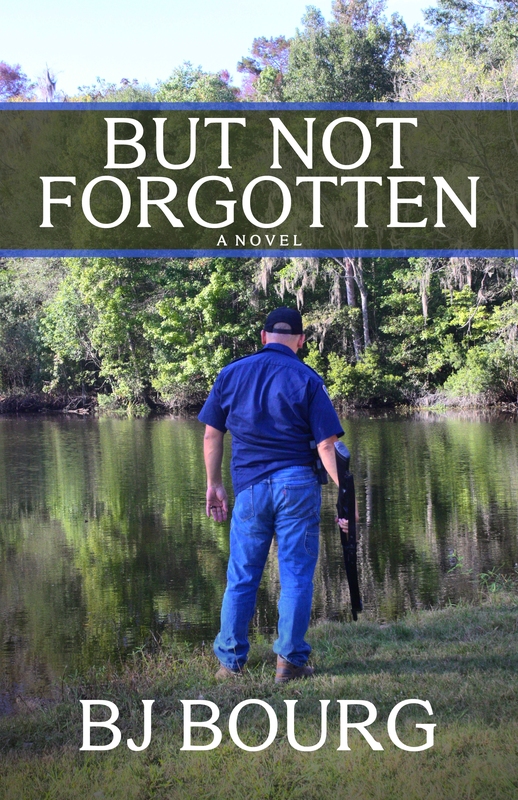 In BUT NOT FORGOTTEN, which is the first in a planned mystery series, Clint Wolf’s life has been dealt a heavy blow, thanks to the anti-cop sentiment and policies of Governor Lester Katz. Alone and utterly lost, Clint trades his detective shield for a framing hammer and puts homicide investigations as far in his rearview mirror as he can—that is, until he’s asked to serve as police chief for a quiet little town deep in the swamps of southeast Louisiana. While the job seems uneventful, the tranquility of the sleepy town is shattered when the severed arm of a missing businessman is found in the jowls of an alligator. Drawing upon his experience and training, Clint sets out to investigate the case with the assistance of Sergeant Susan Wilson, a no-nonsense cop who moonlights as a cage fighter. When they finally locate the body of the businessman, they discover he’s been murdered—shot pointblank in the forehead—and things begin to get even uglier from there. As the investigation ensues, Clint battles secret demons from his past while trying to get to know a local reporter named Chloe on a personal level. Chloe proves to be an asset to the case when she shares information from a confidential informant who says the murder was part of a larger plot.